BRP will have the largest manufacturer presence in recent history at the 2012 IJSBA World Finals in Lake Havasu City, Ariz., this October 1-7. The Sea-Doo X-TEAM will return to defend numerous World Championships with dozens of world-class watercraft racers competing on the new Sea-Doo RXP-X. The BRP events teams will on-hand orchestrating numerous Sea-Doo related activities and will be joined by the Can-Am off road team with 2013 Commander side-by-side vehicle demos. The annual watercraft World Championship races will include a plethora of Sea-Doo related activities including the Sea-Doo X-TEAM Feast, the Sea-Doo Ultimate Owners Ride II, On-site Sea-Doo X-TEAM showroom showcasing many of the new 2013 models, and the Sea-Doo X-TEAM Bounty Invitational competition. The IJSBA World Finals is the largest watercraft specific event in North America where the best racers from around the globe converge to compete for World Championships. The event takes place at Crazy Horse Campgrounds in Lake Havasu City, AZ and draws 10,000-15,000 spectators every year. 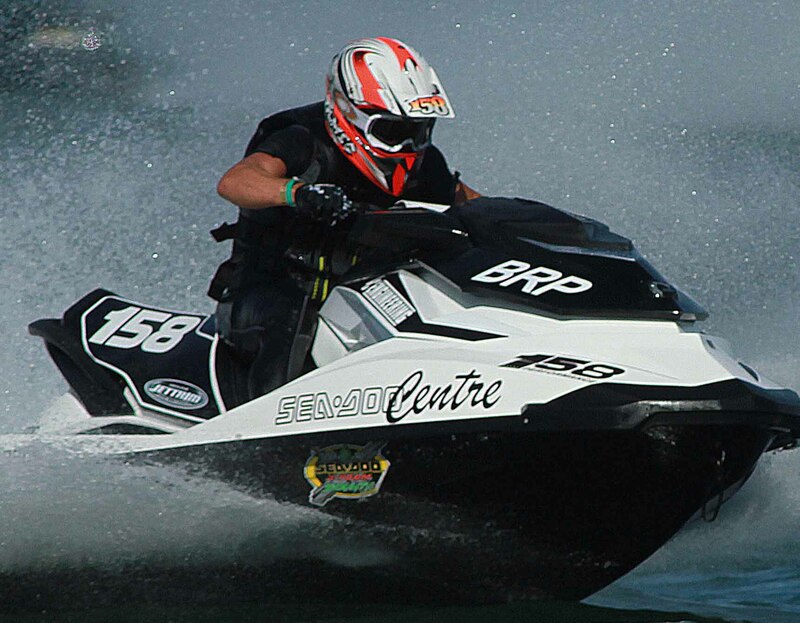 BRP has been a long-time supporter of watercraft racing and the IJSBA World Finals and leads the watercraft industry in race specific support through the Sea-Doo X-TEAM Bounty racer contingency program and the Sea-Doo X-TEAM Promoter support program. 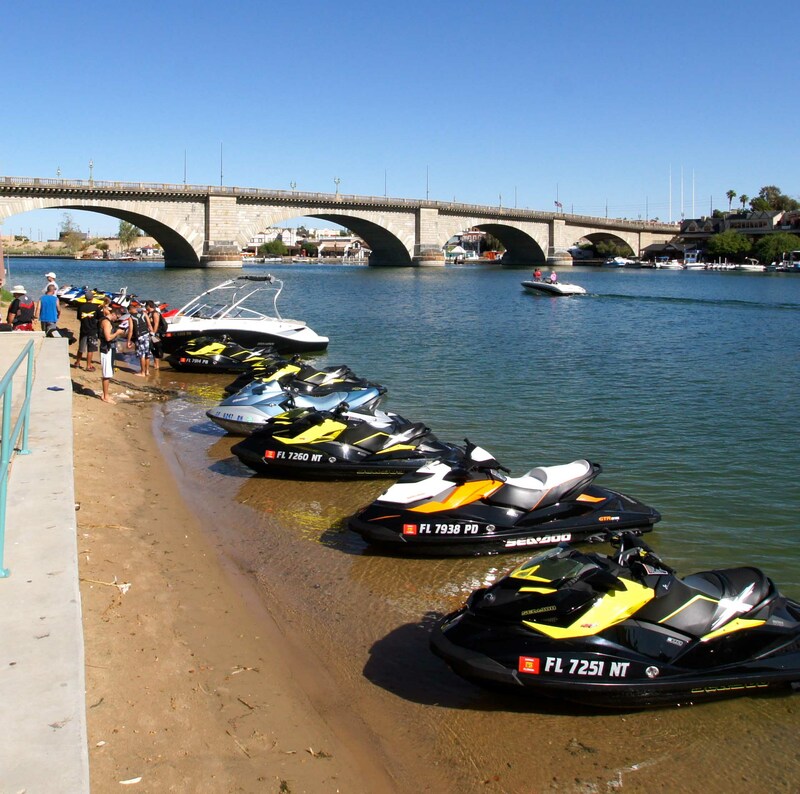 Sea-Doo Owners Ride II, Colorado River – The Sea-Doo Special Events team will be conducting one of the most beautiful, one-day leisure boating rides in North America, exclusively for Sea-Doo watercraft and boat owners (2002 or newer required). The ride will depart from Site Six Launch ramp and travel up the Colorado River to Pirates Cove Resort for a sponsored lunch stop in Topock and back again for a 4-5 hour, round-trip ride on Friday, October 5. Open to Sea-Doo owners, participants will get a special World Finals event t-shirt, lunch and be eligible for Sea-Doo giveaways. For more information, visit Facebook.com/seadoo and click on the “Owners Ride” App. Sea-Doo X-TEAM Bounty X Lap Invitational – Select Sea-Doo racers (noted below) who have faired well during the 2012 season are being invited to compete in a special high-stakes competition aboard the new benchmark of watercraft racing, the Sea-Doo RXP-X. The timed event will pit the best Sea-Doo racers of the year against one another to see who can run the single fastest lap of the weekend with the winner taking home $1000. Qualifying will take place on Friday afternoon following races at World finals track, the top three qualifiers will go to the Sunday final between Motos 1 & 2 for the trophy and $1000 prize. 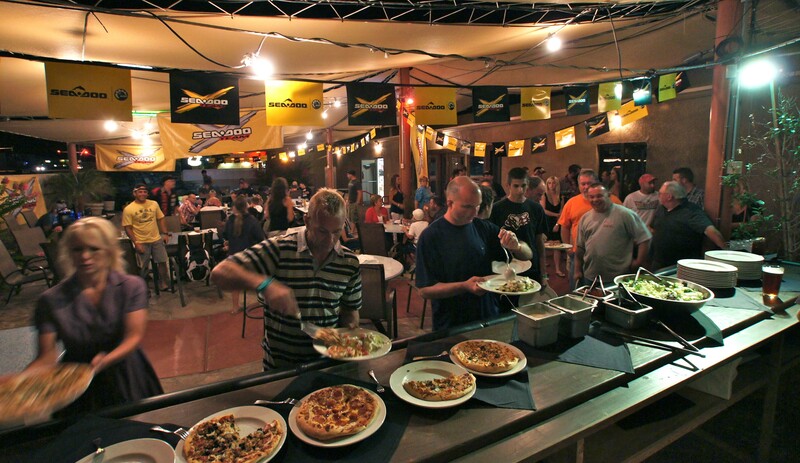 Sea-Doo Racer X-TEAM Appreciation Feast and LiquidSpeedRadio.com– BRP extends their hospitality by hosting Sea-Doo race teams on Tuesday night, October 2 at Mudsharks Grill in Lake Havasu City with a appreciation dinner for racers, friends and family. LiquidSpeedRadio.com will also be broadcasting the Sea-Doo X-TEAM hour LIVE from the event. All Sea-Doo racers are invited and can bring up to three guests to offset some of the costs of their efforts. The X-TEAM Feast will take place from 7-10 and the new RXP-X will make its Havasu debut at the event. > Proof of Sea-Doo ownership (registration or title) AND official IJSBA event wristband is required for entry. For more information, email info@look-marketing.com. CAN-AM Commander Experience – The Can-Am Commander side-by-side vehicle demo tour visits Lake Havasu allowing off-road enthusiasts the opportunity to experience the next generation of side-by-side vehicles on Wednesday, October 3 through October 6 from 10-3:30 at the Crazy Horse Campgrounds off-road track. Visit www.facebook.com/seadoo for the most up-to-date information regarding BRP’s 2012 IJSBA World Finals activities.